At one point in time, a website's primary objective was to be a brochure. To display absolutely everything about your business so the millions of people who are just dying to find your site, will be so informed that they can’t resist giving you money. Unfortunately it was never that easy and the age of informational sites is over. Enter in the age of conversion-based websites. With the evolution of the internet, combined with the proliferation of mobile web consumption, websites have become living, breathing, lead generation machines. But all sites are not created equal. 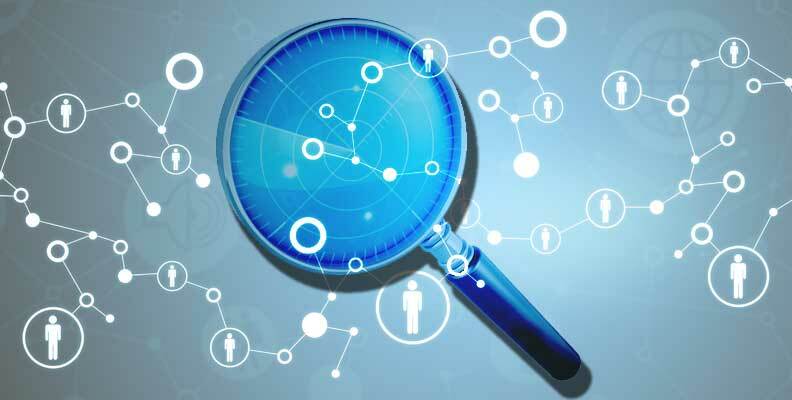 How can you make sure your site is competitive in the marketplace today? The first step is to make sure your site is focused on conversion. Intro – What is a CTA? Conversion-based sites are obsessed with two things; User Experience (UI/UX) and Conversion Rate Optimization (CRO). From the strategy, to the design, to the development, everything is centered around who your target audience is, what their pain points are and how you can solve them. But it goes a little bit further than that. How can you turn a complete stranger visiting your site, into a legitimate prospect? You need to get their information first. The primary way to capture information is through the use of a call-to-action. According to Wikipedia, “In web design, a CTA is a banner, button, or some type of graphic or text on a website meant to prompt a user to click it and continue down a conversion funnel ". Ok so your site is a conversion-based website. You have CTAs implemented on the site and conversion paths set in place. Now what? Well how are you doing? You’d be surprised how few people actually know the answer to this question. That’s because few people actually monitor and dig into the data their site can provide. But before we analyze the data, we need to understand what we’re looking at. Let’s pause to define some terms first. Clicks: How many times a user clicks the button. Submissions: The number of form submissions on the associated landing page that were completed after the CTA was clicked on. 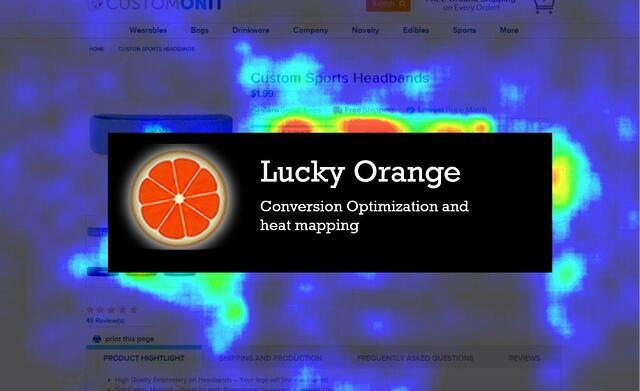 Lucky Orange – Lucky Orange is a UI/UX tracking service that provides heat maps and user recordings of your site. You can pinpoint exact spots that users get hung up on. By viewing heat maps you can see if users are actually interacting with your conversion points. Using tools like scroll maps, you can see if users are even making it far enough down the page to view your CTA. If not, you might consider moving it up the page. Google Analytics – Google Analytics is a powerful tool that can integrate with Ad Words to monitor the effectiveness of online campaigns. But it’s much more than a PPC and website traffic tool. You are able to set goals related to sales, lead gen, downloads, add to carts, etc. The possibilities are endless although it may take some initial setting up in order to be as effective as possible. CMS Analytics – if your site is built in a CMS you can often track performance metrics like page performance, sources reports, marketing grade, SEO score, etc. Although there are a wide variety of CMS to use, some are more robust than others. Platforms like Wordpress or HubSpot can allow for open source bolt-ons or integrations and often supply a number of native analytic tools as well. Identify top performing CTAs - What made it perform so well? Does it perform the same on other pages? Does the same CTA for a different offer perform just as well? 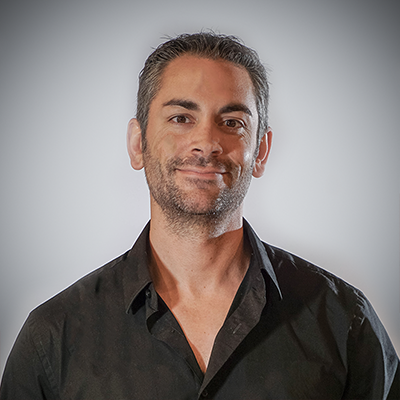 CTAs related to your “Focus Metric” – Do your CTAs connect the user to the desired action? If your goal is to increase demo signups, your CTA strategy should be all about guiding your different users to the demo request page. If it’s to generate requests for a consultation, your CTAs should lead users to content that educates them and gives them the confidence that this solution will solve a need they have. Improve underperforming CTAs - Once you have identified your top performing CTAs, you can take what you have learned and apply that to underperforming CTAs. Maybe the copy isn't quite right. Or maybe the image or color scheme could be updated. By forming a hypothesis based on what's working, you can then test that hypothesis by making changes to what's not working so well to see what that magic sauce is. This is where hypothesis -> testing -> analyzing -> adjusting comes in. Remember your site is living breathing thing. It is never "finished" and always in a constant state of progression. From your analysis you should build hypotheses about what changes we should make to increase the conversion rate and bring us closer to your focus metric. A/B testing is a perfect way to test these hypotheses. 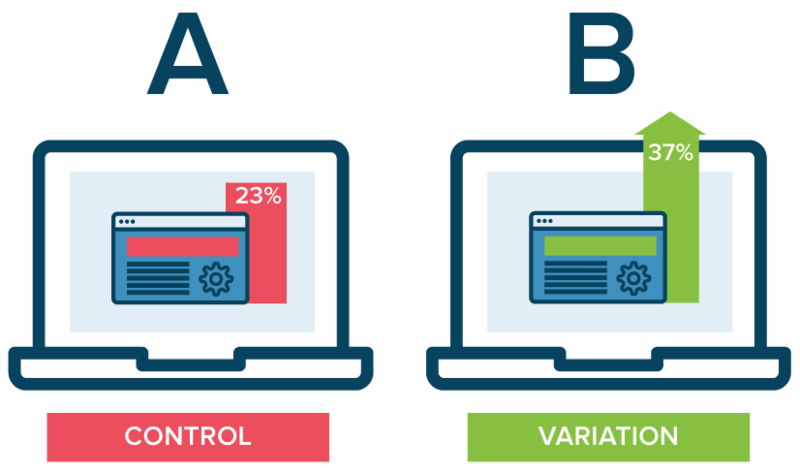 Pro Tip: A/B Testing allows you to test the effectiveness of CTAs by identifying what specifically makes it work. It is recommended to create two versions with a single difference like color, image or font and analyze which one performs better. Then test another difference to see if that has any effect on performance. This is a good way to increase performance of underperforming CTAs. The last step is to test your hypotheses by implementing the changes on your site. As mentioned, it’s best to implement changes one at a time to make sure you can identify which actions moved the needle. You don’t need to implement all hypotheses at once and in fact, you may skew your data by doing so. So take a systematic approach toward implementation. With growth driven web development, users follow a continuous improvement process that improves their website by testing hypotheses overtime. It keeps the successful attempts and learns from the failed ones. But the net gain in user engagement, conversion percentage and decreased bounce rates show us that our efforts are having an overall positive impact. So what did we learn? Well for starters it’s not acceptable to simply throw all the information you could think of about your company at the user right up front. It’s better to identify our goals for the site first, and then plan our strategy with the end in mind. By utilizing conversion points that guide users down a desired path, we can test our hypotheses about what resonates most with our audience. Taking that knowledge we can continuously improve our site so it functions as an extension of our sales efforts and works to increase our bottom line.